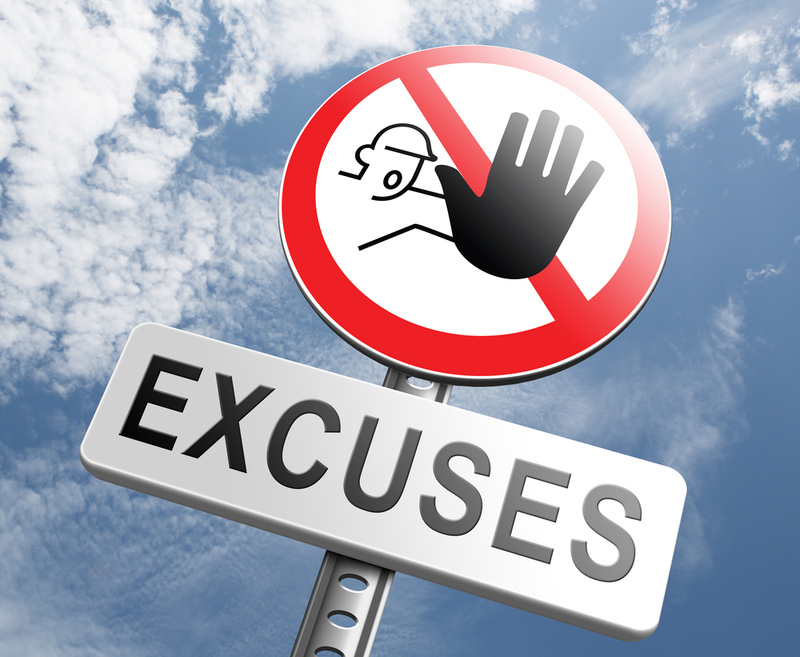 Salespeople CRM Excuses – Salespeople can be finicky, but you don’t want them any other way. After all, they are the divas of your company, setting their own schedules and driven by results instead of sitting at their desk waiting for the whistle at the end of the shift. That being said, you still want your sales staff to have access to the top tools designed to boost their closing rate. Of course, the top tool that any salesperson should be armed with is a CRM, formally known as a customer relationship management program. A good CRM works better than the sharpest secretary you can hire; it will remind you of when you need to follow up with a prospect or client, as well as offer you reasons to reach out to them and remain in their memory, such as birthdays and anniversaries. So why wouldn’t your sale staff want to leverage their skills by automating aspects of work so that nothing falls through the cracks? Here are four excuses your salespeople will typically proffer, along with appropriate responses to help them get beyond their stubbornness and on to increase their closing rate. Of course, a quality CRM program will be complicated! It is attempting to juggle and control a growing list of prospects and clients, with the intent of making sure that salespeople can keep their promises. Even the sharpest salesperson can be tempted to throw their arms up in despair at first glance of a comprehensive CRM program. It’s the sales manager’s job to change that despair to enthusiasm by demonstrating how that comprehensiveness will serve them better than a human assistant. A good sales manager understands that salespeople want to be taking action, not inputting stale data, such as phone numbers, emails, and other pertinent data concerning their clients and their prospects. By showing sales staff how to import much of this information from their computers or phones, salespeople will quickly see how to get on board and running with little delay. Often, a little work on the front end will relieve tons of future tasks. As mentioned earlier, salespeople are prima donnas and want to be treated specially. Sometimes their egos are easily bruised when they feel as if they have been overlooked or ignored, particularly in their area of expertise. To have a manager plop a new program onto their desk with the command to “learn it” as quickly as possible often ruffles their delicate feathers. Of course, new sales staff coming on board are less inclined to complain about adapting to a system that is in place and used by other sales colleagues. However, when introducing a CRM to an existing sales staff, offering a heads up and asking for input prior to acquiring the software will help immensely and solidify their support and enthusiasm for the new software. In fact, the sales staff may suggest some excellent features that are worth including in the final software package. Most importantly, emphasize that, as sales manager, it is your job to streamline their work; asking them to do the grunt work of researching and testing out different CRM packages would unwisely take them out of their sales game, which is their strong suit and why they were hired. In essence, stroke their egos and assure them that their worth is too great to waste on trying out different software programs, but that their input is highly valued and respected. This is a valid concern and excuse but can be easily surmounted and dismissed by making sure that management knows the CRM inside and out. When a salesperson is firing on all cylinders, every manager wants all systems to be running smoothly and swiftly. If that salesperson is getting bogged down on what should be simple tasks, they will lose steam fast. Over time, every salesperson will learn the ins and outs of their CRM, but if they know that their manager already knows the ropes they can tap into that knowledge without losing a beat in their sales efforts, thus learning practical applications on the go. Again, this is a no-brainer to overcome. Installing software is never that tricky and by finding the right CRM that will smoothly support the integration of existing data, your sales staff will be delightedly surprised at how quickly everything can be set up. Most importantly, as manager, being by their side as they are being introduced to the new program can remove any discomfort or hesitation they may be feeling. Even more important, assure the sales staff that regular memos will be sent around offering tips and shortcuts that will help them get more out of their CRM, as well as tricks designed to increase their productivity and closing rates. Once their concerns are heard and addressed, sales managers usually find their sales team quick to adapt to the chosen CRM system and often the first to sing the praises of automating their sales process, which both simplifies their lives and boosts their income.